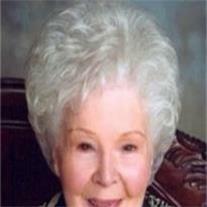 Elma Allen Milano, 93, passed away Friday, March 22, 2013 in Mesa, AZ. Elma was born in Gilbert, AZ on January 10, 1920 to Charles Ashael and Ida Lillywhite Allen. She was raised in Los Angeles where she met and married her husband, Henri Milano. After their marriage in 1938, they operated a chain of accordion studios in southern California. Following World War II, they moved to Mesa where they founded Milano Music Center. After Hank and Elma were sealed in the Salt Lake Temple, they were blessed with six children. Elma was proud that all of her children and many of her grandchildren were able to work by her side in the music business. All six of her children became proficient accordionists under her tutelage. She enjoyed the family performing as a group for many civic and church functions. She was devoted to acts of service dedicated to community, church, and family. Elma had a lifelong commitment to “lift the lives of others.